India’s largest Cancer Institute, National Cancer Institute (NCI), has opened on 18th December 2018 in Jhajjar, Haryana for public services. The NCI will be formally inaugurated in January 2019. It has been established under a project of Delhi’s All India Institute of Medical Sciences (AIIMS). Dr G.K. Rath will head NCI. The NCI will act as the nodal institution for all cancer-related activities in India. It will help to take off some patient load from AIIMS. Haryana Government has launched a mobile app named as ‘Shiksha Setu’ with an aim to help the students of the state. The ‘Shikhsa Setu’ App will help in bringing transparency in the Education Department and in the administration of colleges in the state. The app will provide the students with instant information about assignments and updates of important notices. As per the 2011 Census, Haryana has 76.64% literacy rate, having Male literacy rate of 85.4% and the literacy rate of females stands at 66.8%. The Cabinet Committee on Economic Affairs (CCEA) has given its approval for the revamped Eklavya Model Residential Schools (EMRSs) scheme which aims at increasing the literacy level among the Tribals of India. Under this, Eklavya Model Residential Schools (EMRSs) will be set up in every block where Scheduled Tribes population is more than 50% and has at least 20,000 tribal persons. A budget of Rs. 2,242 crore during 2018-19 and 2019-20 has been approved. The Department of Post has issued a Commemorative Postage Stamp on Rajkumar Shukla in New Delhi on 18th December 2018. The stamp was released as a tribute to the contribution made by Rajkumar Shukla in the launch of Champaran Satyagraha in the year 1917. Raj Kumar Shukla convinced Mahatma Gandhi to visit Champaran. The total number of stamps released to honour and to pay a tribute to the freedom fighters this year has reached 43 with the issuance of this postage stamp. On 18th December 2018, Minorities Rights Day is observed every year in India to promote the rights of Minority communities in India. Every state in India on this day focuses on the issues concerning minorities as well as their safety in the state. The Ministry of Minority Affairs was established in 2006. A National Commission for Minorities (NCM) has also been set up under the National Commission for Minorities Act, 1992. Minorities in India constitute about 19% of the total population. Indian Space Research Organisation (ISRO) successfully launched the communication satellite GSAT-7A on 19th December 2018 from the Satish Dhawan Space Centre (SDSC) in Sriharikota, Andhra Pradesh. 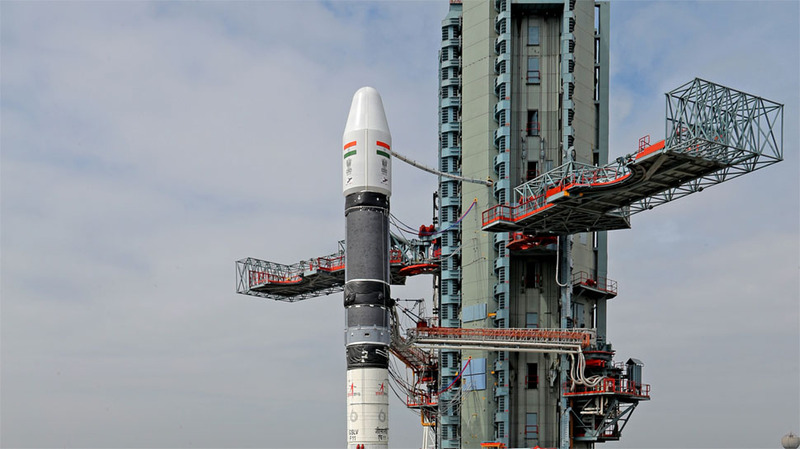 GSAT-7A is the heaviest satellite weighing 2250 kg was launched using Geosynchronous Satellite Launch Vehicle (GSLV-F11). It is the 39th communication satellite of ISRO and will mainly be used for military applications. Russia has confirmed that the United States of America has decided to cancel the Intermediate-Range Nuclear Forces (INF) Treaty signed between US President Ronald Reagan and USSR President Mikhail Gorbachev in 1987. The USA had already announced the withdrawal decision from the INF treaty in October 2018. The treaty aimed to end arms race between USA and USSR during cold war and to ensure some strategic stability in Europe. The NITI Aayog on December 19, 2018 released ‘Strategy for New India @75’, its comprehensive national Strategy for New India which defines clear objectives for 2022-23. It is a detailed account across 41 crucial areas that recognise the progress already made, identifies binding constraints, and suggests the way forward for achieving the objectives. The forty-one chapters in the document have been merged under four sections – Drivers, Infrastructure, Inclusion and Governance. 1. Where is the India’s largest Cancer Institute, National Cancer Institute (NCI) opened? 2, Which state launched ‘Shikhsa Setu’ App? 4. On which day Minorities Rights Day is observed in India? 5. When was the Ministry of Minority Affairs established? 6. What is the weight of the heaviest satellite launched using Geosynchronous Satellite Launch Vehicle (GSLV-F11)? 7. When was Intermediate-Range Nuclear Forces (INF) Treaty signed? 8. Who released ‘Strategy for New India @75’?